Legal thrillers/mysteries are one of my guilty pleasures and -- judging from the best-seller lists -- are favorites of many readers. We can't get enough of John Grisham, Scott Turow, Andy Siegel and Lis Wiehl. (If that last name doesn't ring a bell, check out my June 18, 2012 review of her excellent thriller set in Portland, OR, "Eyes of Justice" (http://www.huntingtonnews.net/35936). Wiehl is one of the many legal commentators on cable news programs. 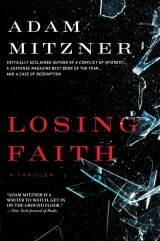 I hadn't heard of Adam Mitzner until I read his latest legal novel, "Losing Faith" (Gallery Books, an imprint of Simon & Schuster, 368 pages, $26.00). One feature that seems to be present in legal thrillers is the older lawyer in a firm -- or elsewhere -- counseling a younger man. In "Losing Faith" the older mentor of Aaron Littman, the chief litigator of Cromwell Altman, is Sam Rosenthal. He's the lawyer who recruited the young law school graduate to the most powerful law firm in New York City. Flash to the present: Aaron, 51, is the premier lawyer of his generation and the chairman of Cromwell Altman. And his old friend and mentor Sam Rosenthal is telling him he's wrong to represent Nicolai Garkov, accused of laundering money for the Russian Mafia and financing a terrorist bombing in Red Square that killed twenty-six people, including three American students. Garkov wants the best representation, so he sends his current lawyer to Aaron to tell him he wants Aaron as his counsel. Garkov freely admits his guilt to Aaron, at the same tim presenting Aaron with a plan for exoneration that includes blackmailing the presiding judge, the Honorable Faith Nichols. If the judge won’t do his bidding, Garkov promises to go public with evidence of an affair between Aaron and Faith— which would not only destroy their reputations but quite possibly end their careers. It would certainly destroy Aaron's happy marriage to Cynthia, a physician. The novel is replete with details of the office politics of the big law firms -- not to mention many plot twists and turns. In addition to being a legal thriller, "Losing Faith" deals with psychological game of power, ethics, lies, and justice. Did I like it? Yes! In addition to being the author of three legal thrillers, Adam Mitzner is currently also the head of the litigation department of Pavia & Harcourt LL in midtown Manhattan. He lives in New York City with his wife and children. Adam graduated from Brandeis University with a B.A. and M.A. in politics, and from the University of Virginia School of Law. 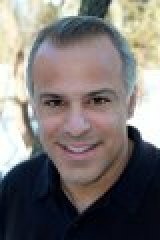 He's the author of "A Case of Redemption" and "A Conflict of Interest."